Lago Smallgoods started production in the 1970’s making a small range of quality Italian style smallgoods in the time honoured traditional techniques. As local custom grew in numbers, Lago developed as a diverse and multi-range producer of hams, bacon products, traditionally fermented salamis along with a wide selection of continental smallgoods. Throughout this growth period at Lago, Max Davis was gaining professional experience while working with the all Australian Huttons Smallgoods group, first in Tasmania, then Melbourne and later Brisbane. Returning to Melbourne, Max decided to establish the Duncan Davis Smallgoods company and achieved major successes with customers including the Coles and Woolworths Supermarkets. Thirty years after Max established the Duncan Davis brand name, the second generation Davis, his son Andrew, took over shared management of the business upon his father’s death. Andrew, however, could see multiple opportunities in the smallgoods industry and an opening became available with Lago Smallgoods. In 2006, Andrew bought the now highly successful Lago Smallgoods business and invited the talented and experienced manager of Otto Wurth, Willem Derks, to support the next level of development at Lago Smallgoods. 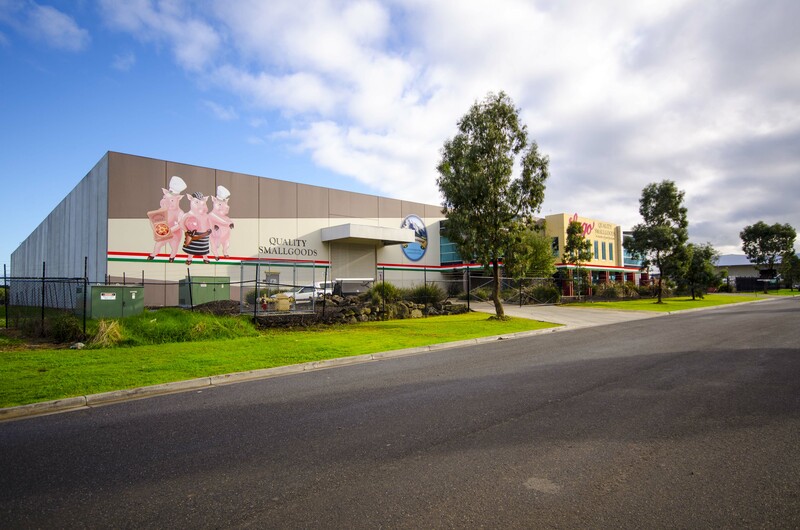 After only four years of building quality and market share, bigger facilities were required and so operations were transferred to the purpose built, state of the art, office, production, and distribution facilities at the Northcorp Enterprise Park, Broadmeadows. Today, the 3rd generation of the Davis family work at Lago. Both Andrew’s sons, Rhett and Jake, continue to carry on the family tradition. At Lago, our aim is to excel at all that we manufacture and sell. Our customers define our standards in terms of their needs. This customer focussed attitude has meant that Lago has grown to become a Victorian and interstate supplier to the wholesale and retail markets around Australia. Today the Lago brand can be found in all discerning pizza establishments using our pizza cotto and salami range of products. Other satisfied customers include hotels, restaurants, cafes, bistros and boutique butchers buying from our comprehensive Lago brand of products. More recently, Lago has been looking to build on its long term reputation through the development of a new range of Continental smallgoods, formulated in the traditional European style. Lago have sourced premium ingredients and blended these with expertise drawn from long term experience inside the traditional smallgoods industry. The result is our Paramount range of products featuring the full aromas, flavours and textures found only in products made with care and attention to every detail. Aromatic wood smoke, carefully selected exotic spices and rich, mouth filling meat characters dominate a product range built on quality and authenticity. For our Paramount range of products we use only the highest quality ingredients and the freshest gourmet meat cuts where there is no compromise for price. Only the best will do! !